Reading lovely comments and messages from readers of Honey & Lulu never fails to put us in a good mood, and after coming across two comments from the gorgeous Bec, author of Daisy and the Fox, we were put in an ultra happy mood. Bec has very kindly nominated us for two more awards! We are again so grateful to have been recognised in this way for our blog, after only being online for nearly a year now. We wanted to take this opportunity to thank each and every one of you that read and comment on our posts – it is such a joy to know that others like and support what we’re doing, and we love reading the positive feedback that Honey & Lulu receives. Bec is not only a fantastic blogger, but also a very close friend of ours, and is always posting the most tantalising recipes and beautiful photos on Daisy and the Fox. We love stopping by her blog whenever we get the chance, and highly recommend that you all do too! 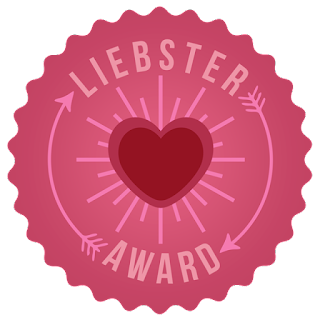 The first award we received was the Liebster Blog Award. A Liebster Blog Award is given to talented bloggers who have less than 200 followers. ‘Liebster’ is a German word that means ‘Dearest’, but also means ‘Favourite’. So, in a way, the award not only recognises these bloggers as amazingly gifted in their own right, but also as your very own personal favourites. 5. Fruit or vegetables? Both – fruit is a great, healthy snack during the day, but no meal is complete without a side of vegetables! 2. What’s your all-time favourite movie? 4. New York, Paris or London? 5. What's your favourite Christmas carol? 6. Which iPhone app do you use most often? 7. Breakfast, lunch or dinner? 8. What’s your favourite holiday destination? 9. Online shopping or offline shopping? 10. What’s your favourite lifestyle brand? 11. Black & white, or colour photography? - Food, Fork & Good. The second award we received was the Wonderful Team Member Readership Award. 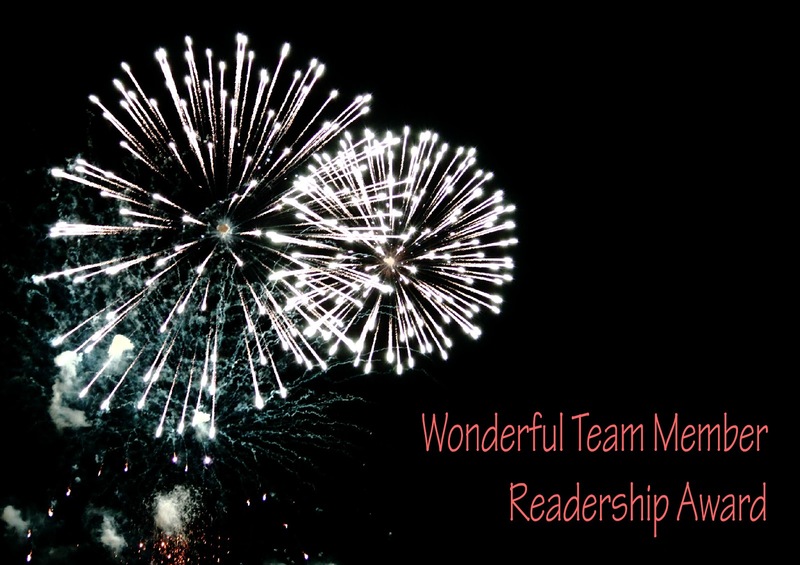 To quote the creator of this award, “As bloggers, we are also readers. That is a part of blogging as listening is a part of speaking”. The rules are simple – pass on the award to 14 nominees! Congratulations to all that have been nominated for these awards – each blog is most certainly deserving of either acknowledgement! Hoping you all had a wonderful weekend, and thank you once again to Bec for nominating Honey & Lulu for both the Liebster Blog Award, and the Wonderful Team Member Readership Award! Hi Cloe & Sarah, congratulation on your awards. Happy blogging. Thank you for stopping by Honey & Lulu - we really appreciate it! Congrats on your awards. Thanks for discovering me and now I'm following you too. Happy blogging! Thank you for stopping by our blog! All the best with yours! Thanks so much girls! Have a great holiday season! Your blog most definitely deserves this acknowledgment, so congratulations! It is our pleasure to nominate your blog for the award! It is our pleasure to have nominated you; To Food With Love is just a gorgeous blog and most certainly deserves the award! Congrats on your two awards! How exciting! And a special thanks for nominating me...I'm truly honored! Thank you! Yes we know, we're very lucky to have been nominated again! Slice of Southern is more than deserving, so congratulations to you! Congratulations on your awards and thank you both so much for the nomination! It is our pleasure to have nominated you blog, so congratulations! Walk On The Style Site is a lovely blog, and most definitely deserves this acknowledgement! Congratulations on your awards. You ladies certainly deserve the recognition! And thank you very much for the nomination. I am truly honoured. It is our pleasure to nominate Minty's Kitchen! Congratulations on awards! Thank you very much for the nomination. I wish you and yours a happy and blessed holiday season! Hey there! I have been traveling and tried to comment via my iphone but it wouldn't let me. anyway back home and so thankful for this award. Ya;ll are the best! Kitchen Belleicious is very deserving! Wish you all the very best with your blog and we can't wait to read more! All blog photography by Chloe & Sarah unless stated otherwise. © Honey & Lulu 2011-2014. Simple theme. Powered by Blogger.